Amazon's audio book subsidiary Audible is celebrating the 200th anniversary of Jane Austen's death with a stunt designed to bring Austen's era to life for London commuters. Audible is marking the 200th anniversary of Jane Austen's death with the Austen Taxi, which was available for commuters to use this morning (18 July) allowing them to escape the busy tube. 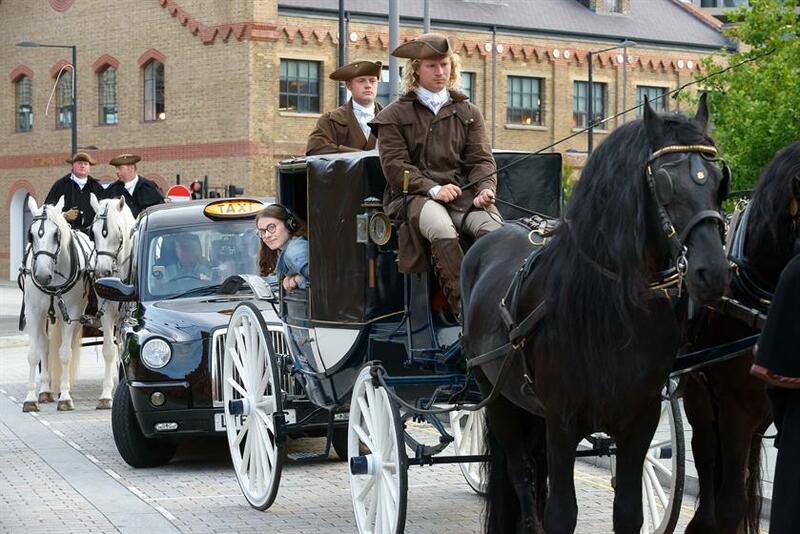 Londoners were given the option of travelling to work in 19th century style, with a horse drawn carriage picking them up from King's Cross Station and taking them to their destination. 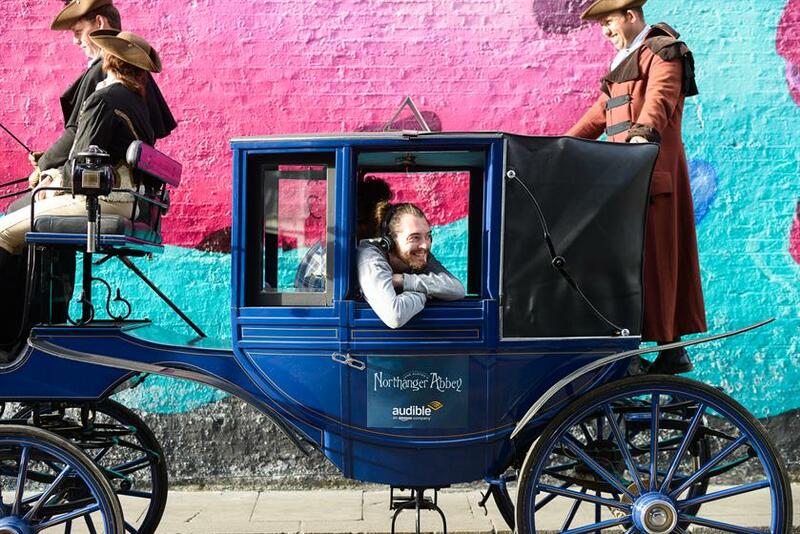 Guests in the Austen Taxi will also be treated to excerpts from Audible's new dramatization of Austen’s gothic novel Northanger Abbey, as they pass London landmarks such as the St. Pancras Renaissance Hotel, St Paul’s Cathedral, Smithfields market and the Barbican gallery. 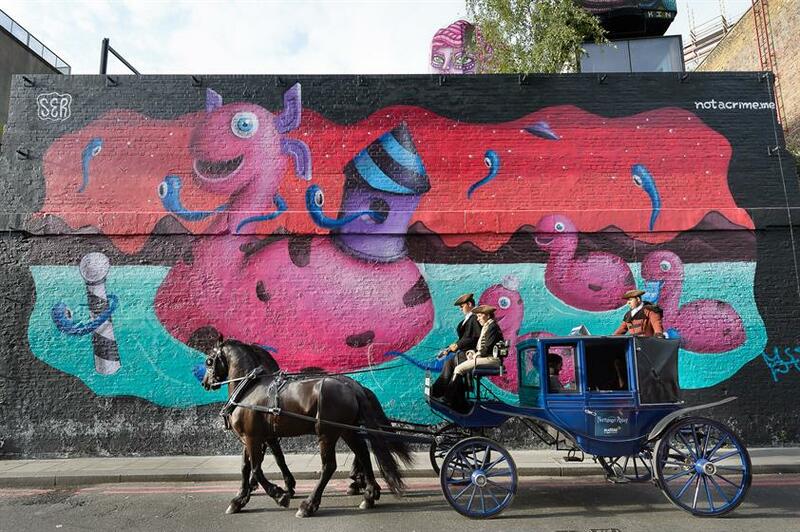 The activation has been delivered by brand experience agency Pretty Green. Northanger Abbey stars actors Emma Thompson, Lily Cole and Douglas Booth and is available to download now from Audible's website. Audible marked the launch of new audio drama, X-Files: Cold Cases with an immersive investigation bureau, offering guests the chance to solve an X-Files mystery. More: Earlier this month, Orchard Pig offered Londoners a 'Traxi' service, which allowed them to complete their commute in a bright blue tractor.